Comfortable bed. Clean apartment. Spectacular views! Simple comfort, spacious and bright. Not a resort with lagoon pool or fancy bar/lounge/dining but perfect as a relaxing home away from home. The view was the most amazing I have ever seen!! Loved the free shuttle around the island and the fully functional kitchen. Beautiful rooms with great views. Reasonable price for the location. Everything, staff, service and everything. Seems to be better experience than staying in reef view hotel, can see the best location of the apartment, spacious and best part was was able to perform cooking, grocery market was also near by. Everything we experienced at the property was awesome. We arrived very tired and the views from the apartment were simply refreshing. Spacious and comfy, clean, fully equipped kitchen, baby cot provided; we felt that we should have stayed here a few more days rather than in Airlie. Fantastic location, stunning view and the nicely renovated since I last visited. The cleaning staff were extremely helpful. Our room always had fresh towels delivered and bins emptied. Overall room was comfortable and a good size. 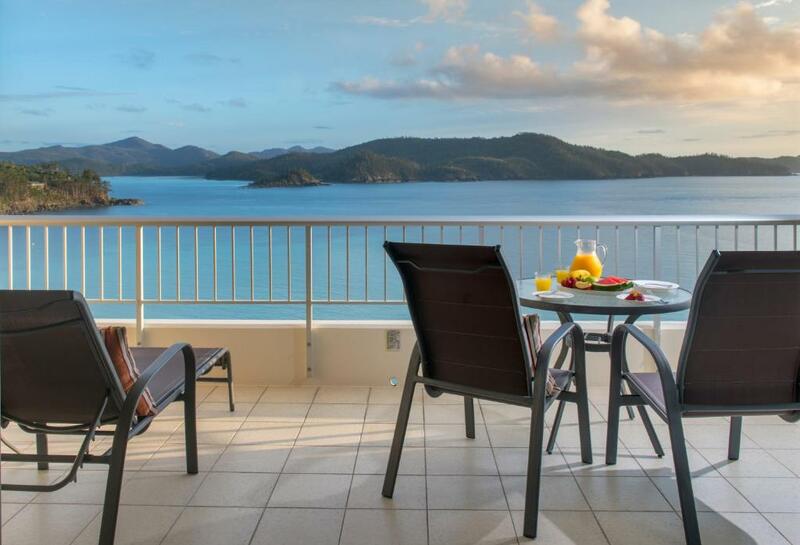 Lock in a great price for Whitsunday Apartments – rated 8.9 by recent guests! Whitsunday Apartments This rating is a reflection of how the property compares to the industry standard when it comes to price, facilities and services available. It's based on a self-evaluation by the property. Use this rating to help choose your stay! 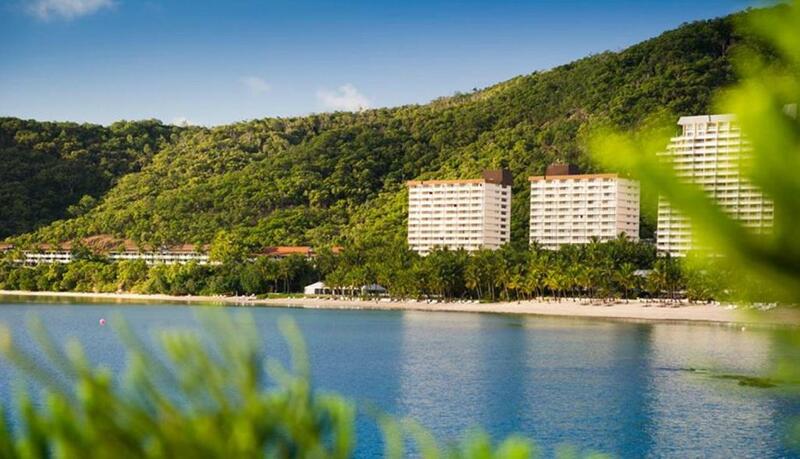 Across from Catseye Beach, Whitsunday Apartments each feature a private balcony overlooking the Coral Sea or lovely tropical gardens. 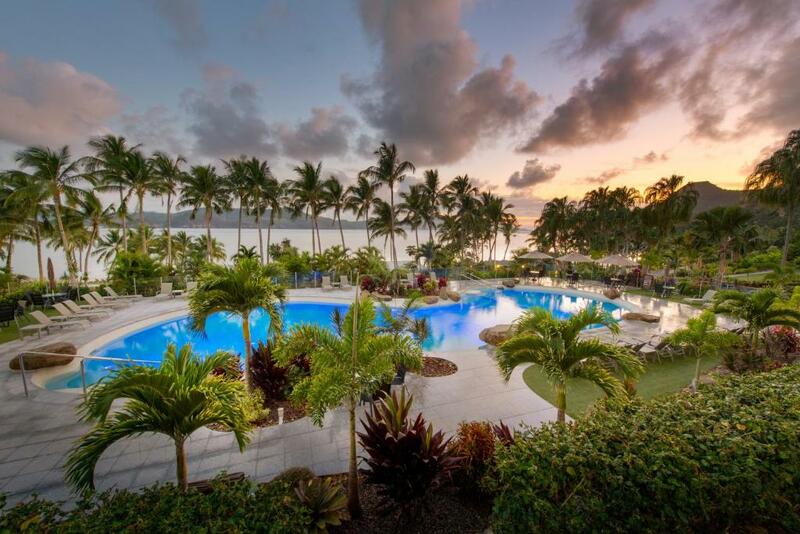 The property offers free Wi-Fi access in the lobby and an outdoor swimming pool. Guests can enjoy free bus transportation to and from the airport and free unlimited use of the island's shuttle bus. The air-conditioned apartments include a full kitchen with a microwave and refrigerator. Each has a spacious sitting area with a flat-screen TV and DVD player. Whitsunday Apartments Hamilton Island are just a 2 minute drive from the Great Barrier Reef Airport. Hamilton Island Golf Club is one mile away. 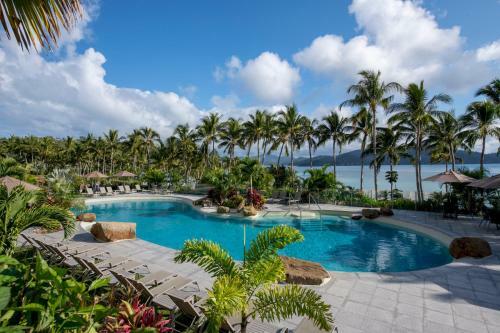 뀐 Located in the top-rated area in Hamilton Island, this property has an excellent location score of 9.5! When would you like to stay at Whitsunday Apartments? This 1-bedroom apartment has a fully equipped kitchen with an oven, stove top, microwave, full-sized refrigerator and freezer, a toaster and a kettle. It has a king-sized bed and a single divan/sofa bed in the bedroom and 2 single-sized divans/sofa beds in the living room. There is a dual-access bathroom. Please note that all linen for the divans are provided, but they are not made up for arrival. Please note that the size of the divan/sofa bed is 42 in x 80 in. Please note that daily rubbish removal is included and the linen is changed every 4th day. 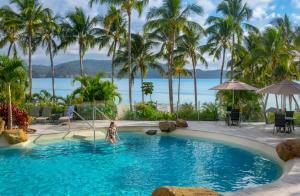 House Rules Whitsunday Apartments takes special requests – add in the next step! Whitsunday Apartments accepts these cards and reserves the right to temporarily hold an amount prior to arrival. Please note that there is a 1.25% charge when you pay with a Visa or Mastercard credit card and a 3% charge when you pay with an American Express credit card. Please note that credit card surcharges are not refundable. Please note that a maximum of 3 rooms can be booked at one time. There wind noise coming from the windows due to the unit location in the complex. For the price paid a dishwasher will be a nice thing to have. Location, the view, great for families, lots of facilities and 2 pools to choose from and very friendly staff. Housekeeping don't do the dishes or tidy up - they only change the towels. Luxury apartment with nice view, friendly staff, and all the facility matched our expectations! Construction across the road and in the apartments post the hurricane made it noisy during the day (we have a baby). However we were told about the apartment construction after booking. Very clean, well equipped and very chilled out. The perfect place to stay with a baby on HI. Would certainly recommend it. The location was fabulous. 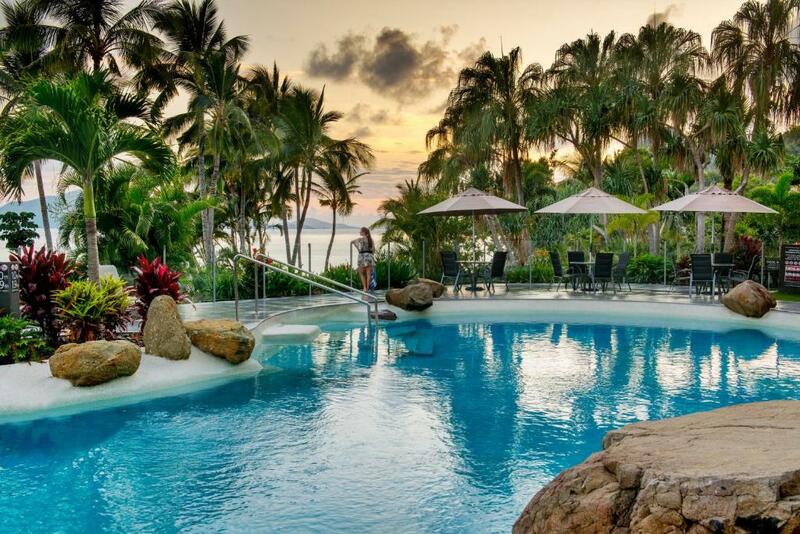 Lovely swimming pool. Great views from the apartment. Coffee service in the morning. Bugs in the kitchen if you leave any food outNo restaurant. Amazing view. Nice location. Rooms were clean, modern, spacious. One Elevator in west tower was out of service. People had to wait a long time to get up or down. I was kind of impartial about the property. It was just average. Nothing was wrong with it but nothing stood out either. The only complaint that I have is, that the Hotel pool area, did not have shade. Not a single umbrella to escape the sun if needed. The location and apartment were spacious and the views were breathtaking. The staff were helpful and because is was a holiday to celebrate our wedding anniversary, they gave us a complimentary bottle of sparkling wine! That was a lovely surprise. We will stay here again definitely! Was disappointed that the pool area had no shade, and that only 1 elevator was operational for our 5 night stay so long wait time if we didn't take the stairs. Very clean apartment, staff were friendly and polite. An absolute amazing holiday. Could not fault a thing!! The island was busy, too many golf carts made moving around as a pedestrian much less peaceful than it should have been. Friendly staff, clean, great views, good value for money. the path to the pool was spasmodically open. there was always one lift not working in the west wing. they are still in the middle of renovations after cyclone Debbie which cant be helped because workers and materials need to come from the mainland which takes time and money. it will be really lovely when it is finished. great pool. nice foyer. staff were friendly and helpful. loved the blue and green buses - very useful.